Just so I didn’t ruin it for you. 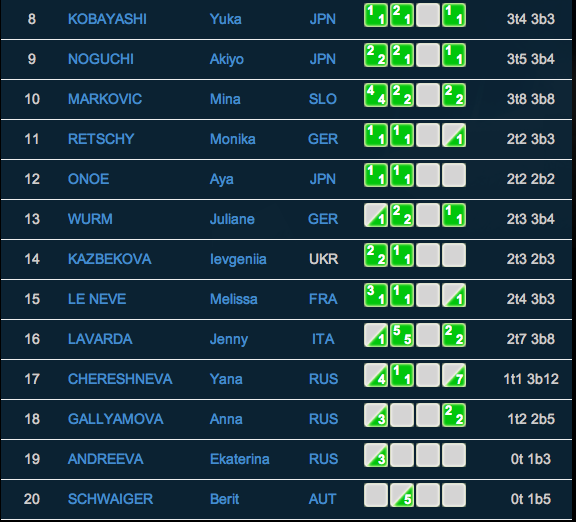 Women’s Finalists in semifinal qualification order. UPDATE – Apparently Melissa Le Neve and Akiyo Noguchi were both denied a problem because both used a finger in a bolt hole on the wall, which is not allowed. 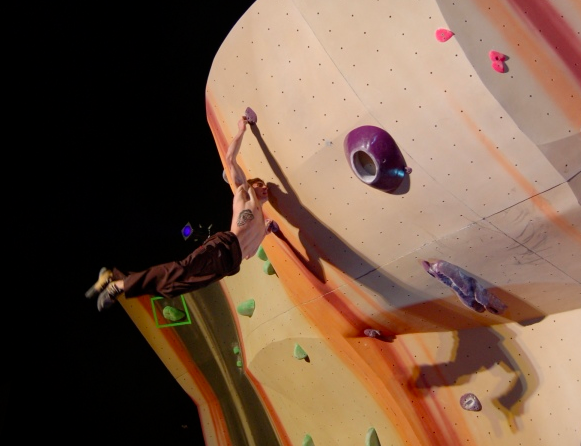 Apparently Kilian, who dominated qualifiers, slipped here and didn’t make finals. 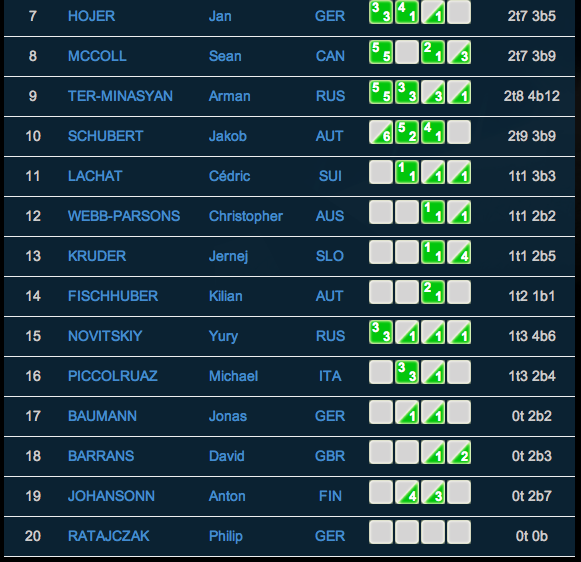 Here are the results for the rest of the men’s semifinal field. Finals coverage on the way!